This layout was my Step by Step layout in a recent Scrapbooking Memories magazine. 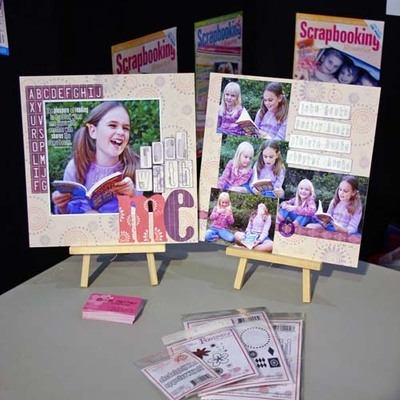 I also showed this layout during one of my talks about Stamping for Scrapbookers at the Canberra Craft Fair. I used rubber stamps (both decorative and alphabet), pattern paper and monograms from a fantastic company called fontwerks. I had lots of enquiries about the stamps in particular. Have a look at their website, www.fontwerks.com .